from the viewpoint of a practitioner. containing: a Gallery of ornamentally turned items made by the author, information about the Craft of Ornamental Turning, including a treatise on Ornamental Turning Lathes and Equipment, advice on certain Ornamental Turning Techniques, a list of useful Books, a catalogue of items For Sale and Wanted, information about Holtzapffel, Evans and other makers of OT equipment; and Links to other websites of interest to ornamental turners. Now! Is this the moment you have been waiting for? 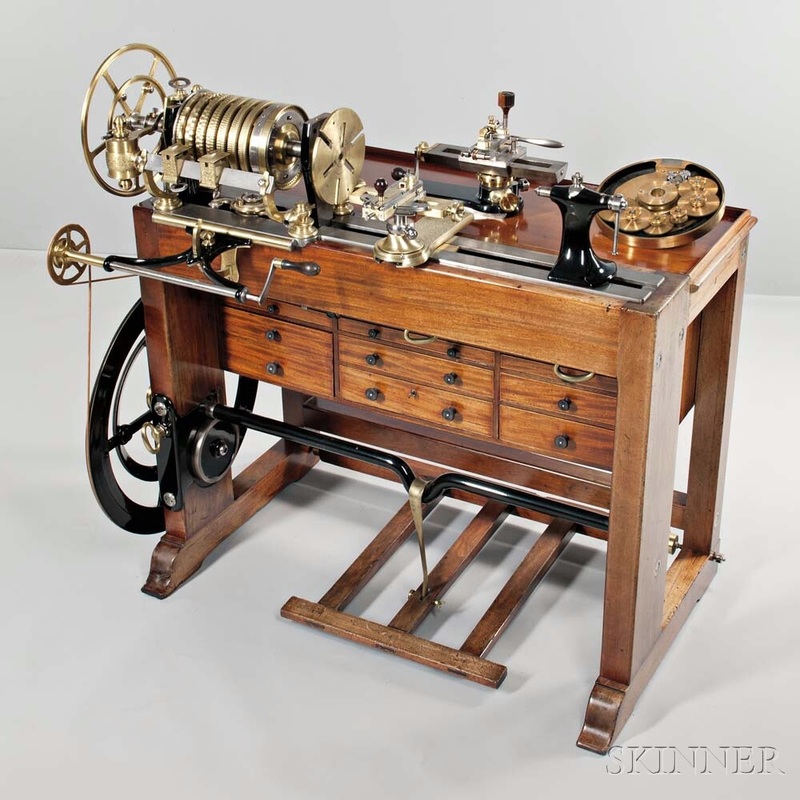 This is, indeed, a 'once in a lifetime' opportunity to buy one of the best, the rarest and the most expensive lathes ever made by Holtzapffel & Co., of London. 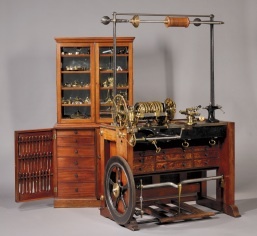 This is the 'Rose Engine & Ornamental Turning Lathe' with Rose Chuck and Pumping Apparatus by George Budd. 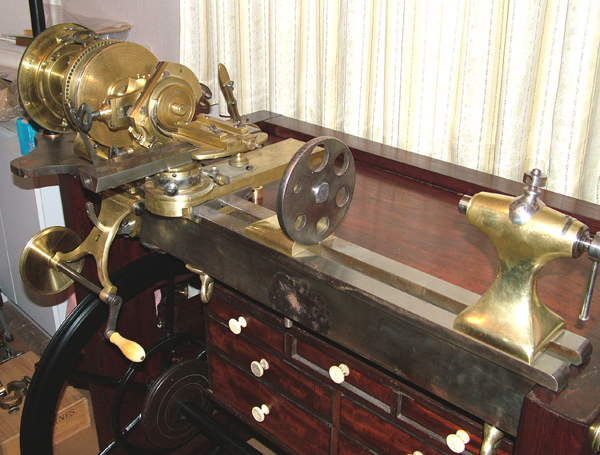 Only a few of these 'top of the range' lathes were made and this is probably the finest example still in existence. For more information phone me on 0(+44)1732-355-479 or email me at ornamental.turning[at]talktalk.net (substituting @ for [at]). My belated wishes to all readers for a HAPPY, HEALTHY, PRODUCTIVE & PROSPEROUS NEW YEAR!- and my apologies once again for the long lapse of time since I last up-dated this website. Family matters have taken up a great deal of my time in recent months and my hobby has had to take a back seat. However, I do hope soon to be able to add a few new lathe numbers to the Holtzapffel Register. 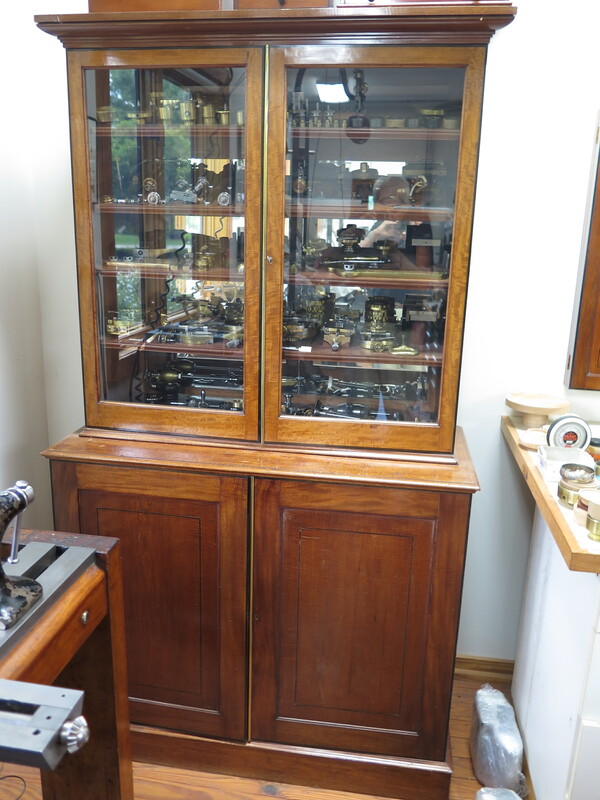 Also I am attempting to down-size my collection and hope soon to be able to offer several Holtzapffel lathes in various stages of completeness from starter outfits to 'the lathe of your dreams' - so WATCH THIS SPACE! There are no O.T. Accessories currently for sale but I hope to offer a new catalogue in the not too distant future. Almost a year ago I said: "Would you like to buy one of the large and very rare Holtzapffel Rose Engines? There is a strong possibility that one may be available for sale shortly. This could be the opportunity of a lifetime!" Too late - you missed it, but someone picked up a real bargain! Now I can tell you: I believe that, of all the lathes made by Evans & Sons, there were just three that were very special. One of these three may be will be available for sale shortly. Watch this space. Registers of Holtzapffel, Evans & Other Lathes I am currently compiling three registers of lathes made by (1) Holtzapffel, (2) Evans and (3) Other recognized makers of antique lathes. The information in these registers comprises: serial number, special notes, country of last known location and photographs where obtainable. Names of some famous previous owners are included but the names of current owners will not be disclosed without their express permission. Any reader wishing to contact the owner of a specific lathe should state their reasons and if I know the owner I will forward their requests. The owner will be under no obligation to respond. In 2001 I wrote a book about John Evans & Sons, Lathe Makers. 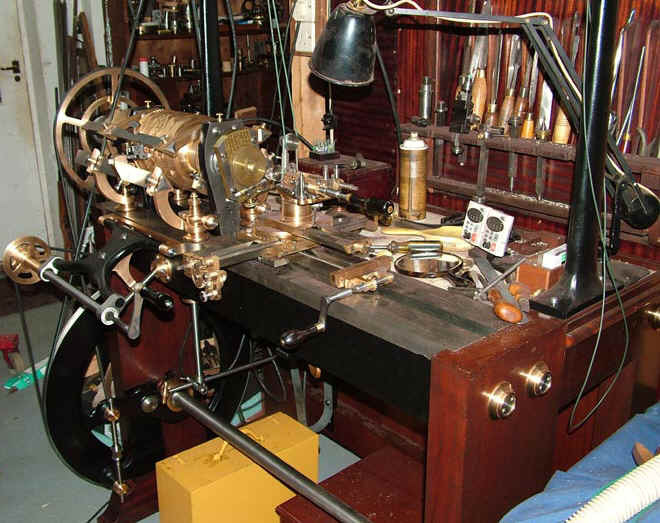 It included details of all the Evans lathes then known to me and information about some of the most useful accessories made by the firm. I have since decided to revise this book and include in it the new Register of all known Evans lathes. In the meanwhile I have produced this preliminary Register. 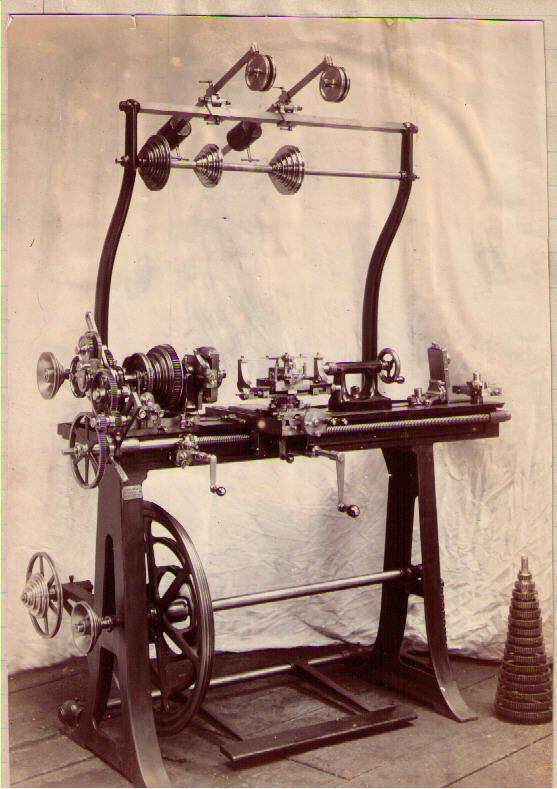 The revised book will also include the complete collection of articles on 'How to Make' an Ornamental Turning Lathe and all its accessories; together with other articles written by J.H.Evans for English Mechanics magazine. Please help me to make the Holtzapffel & Evans Registers useful reference works by sending me details and photographs of your Holtzapffel, Evans, and any other named lathes and accessories. Want to know when there are updates on this website? There is a free service called 'Change Detection'. It monitors any website you register and sends you an email whenever a change has occurred on that website. You can find it at http://www.changedetection.com I update my website at odd intervals, so my followers probably get fed up when I don't make changes for months at a time and then make changes almost daily. To avoid this frustration may I suggest that you sign up to 'Change Detection' so that you can follow my website (and any others that interest you) without needing to check them yourself. 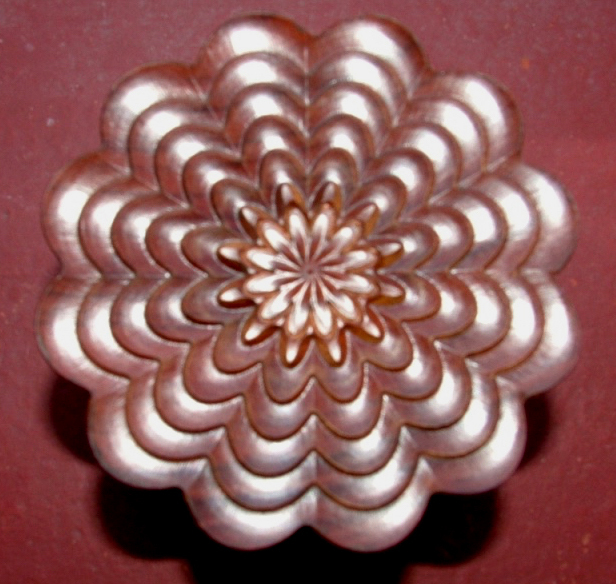 - I have also set up a page on FACEBOOK, so if you would like to be informed whenever I update this website you can find out by clicking on this link: https://www.facebook.com/ornamentalturning.co.uk or you can open your own Facebook Homepage and type Ornamental Turning in the search box. This will show you several pages with O T content. 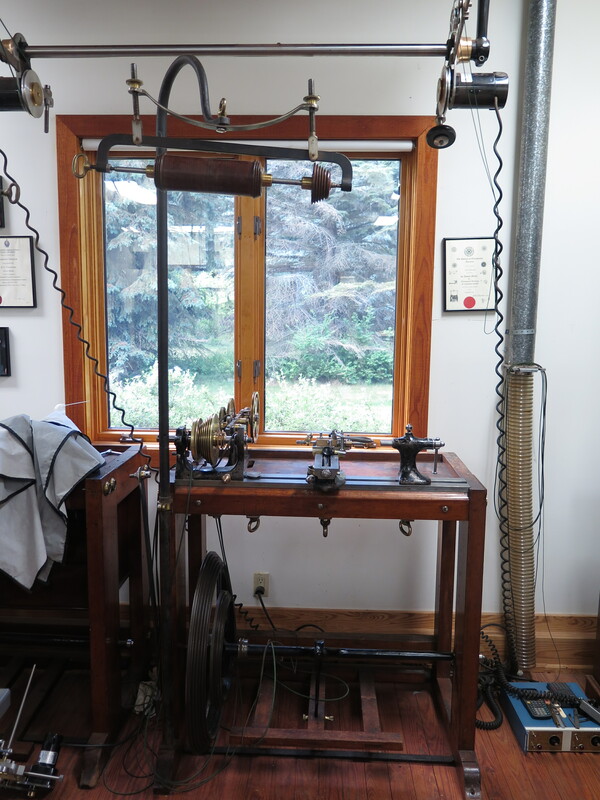 Click onto the one with a photo of a Holtzapffel lathe and you will be on my Ornamental Turning Page. 15th January 2015 (Addition: No.1520) Numerical List now annotated where photographs are present. Thank you! 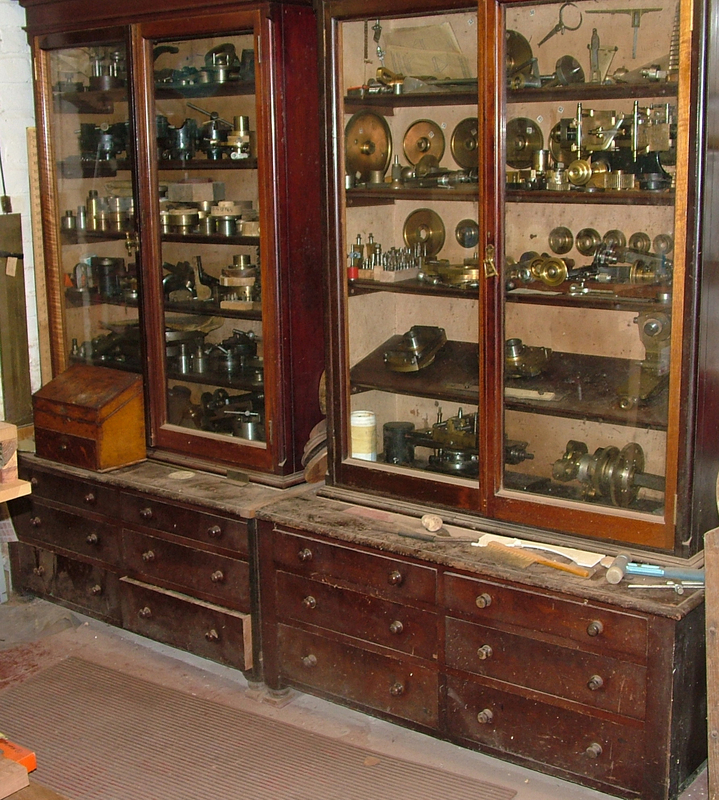 - to those who have sent me details and photographs of their Holtzapffel & Evans Lathes for the Register. If yours is not shown please send me a photo. My book - Holtzapffel Volume VI. is now out of stock and I regret that no more copies will be printed. Q: and A: Forum - If you have any questions about Ornamental Turning [click here] If you don't find the answers you want - contact me, I might be able to help - contact details below. My 'Armbruster Mark II' Rose Engine! As smooth as the best Holtzapffel Rose Engine but more versatile: this Rose Engine has a '5C' collet system within the mandrel, so it is quite easy to adapt any chuck to fit it; it also has a combined amplitude adjuster and dog-leg drive to allow a pumping motion from rosettes without 'crown' (flank-cut) profiles. Well done Fred - and congratulations to everyone who has (or will have) the privilege of owning one of these magnificent machines.